Share the post "Episode 65: How to blog about boring topics without sending your audience to sleep"
While it would be wonderful if every piece of work we undertake, as freelance writers, was thrilling and enthralling, in reality we do, at times, get assignments which are terribly boring. In this podcast episode, Lorrie provides six ideas to help you create fascinating content when the topic you are writing about is deathly dull. Hello and welcome to a Little Bird Told Me, the podcast where two freelance writers tell you all the tricks of the trade. We talk about the highs, the lows, and the absolute no-nos of successful self-employment, saving you from mighty embarrassment and mortifying mistakes, and guiding you – hopefully! – to the very top of your chosen profession. Freelancing is amazing, but that doesn’t mean it’s easy. Tune in to the podcast every week, and if you go to alittlebirdtoldme.podomatic.com, you can subscribe to ensure you never miss an episode. Whether iTunes, an RSS podcatcher or Stitcher Smart Radio is your platform of choice, we’ve made it really easy to sign up and be the first to hear our latest words of – again, hopefully! – wisdom. There, you will also find any links we mention, our own websites and social media feeds, and the A Little Bird Told Me Facebook Page, too. I’m Lorrie Hartshorn and today, I’m going to be getting you into the swing of 2014 with a solo episode. The lovely Pip, my usual co-host, is squirrelled away and working hard, so this is a solo gig. But fear not, she’ll be back in a fortnight’s time to share her words of wisdom and filthy laugh with you all again. So, this week, I was thinking about talking about New Year’s resolutions – new starts, business plans and all that, but the Internet has it all pretty well covered. Plus, I don’t know about you, but I’m a bit of sick of it already. So, I’ve decided to steer away from all the New Year’s Resolution stuff (apparently 88% of them fail in the first month anyway) and talk instead about something that no freelance writer I’ve ever met has managed to quit – and that’s writing about boring, boring topics. Now you’ll probably already have wondered about how to write about boring topics, and if you go on the net, you’ll find loads of worthy posts about how there are no boring topics, only tricky topics, or boring people, or bad writers, or whatever. It’s not true – it’s a complete lie. There are boring things in the world; my boring isn’t the same as yours, and yours isn’t the same as someone else’s but we all get bored – we’re all human. If you have to write about something you find boring, it can be really hard, so it’s no good pretending that everything is sunshine and roses and unicorns, and that you think everything is super interesting because nobody does. So I’ve come up with six ways to write about a boring topic without sending your audience to sleep. So tip one is to be clued up. Now, we all know what it’s like, sitting there, trying our best to absorb a topic that Just. Won’t. Get. Interesting. And whether you’re cowering on the back row of your year 11 chemistry lesson or you’re slouched in front of a computer trying to read the latest news about algorithms and metrics and measurements – sigh, Pip loves those – the feeling is always the same: painful, impending death. On the other hand, we all know what it’s like to be engrossed in a topic that, while it might be complex or unpopular, just never fails to be fascinating. For me, it’s grammar. I love grammar – how it works, the rhythm of it – I think grammar is beautiful – how it develops, the patterns that spiral out and out from parts of a word to parts of a sentence to parts of a paragraph like some gorgeous grammatical galaxy. I really do like grammar. But why do I love grammar but not chemistry? Well, part of this is down to natural abilities – I’m a linguist, not a chemist. I have a natural affinity – and ease of understanding – with words that I don’t have with chemical compounds. The enjoyment comes from the understanding. Grammar is one of the most hated topics I know, especially here in the UK, but because I understand it, it fascinates me. And while you can’t choose your natural talents, you can improve your knowledge and use that knowledge to open the door to others. Now, writing about boring topics requires relatability, and the only way people are going to be able to relate to a boring or complicated topic is if you bring it to them in a form they can understand and relate to. So, I could talk about grammar as building blocks, if I wanted to be really simple – and, let’s face it, a bit hackneyed. Or, I could use my imagination and use an analogy like my earlier one – grammar as a galaxy. With imagery like this, I could talk about the connections between parts of speech, and use the idea of orbits to discuss how certain words act as an anchor for others in a sentence…you get my point. But if I didn’t understand grammar, I couldn’t do that. And the same goes for any topic – this is my point. You don’t have to be an expert in something to write engagingly about it, but the deeper your understanding, the more chance you stand of being able to reframe the topic in a way that will spark your readers’ imaginations. Not only that, and this is the good news for you, the more research you do on a topic, the deeper your understanding becomes. And the deeper your understanding becomes, the more you enjoy the topic and want to learn about it. It’s a beautiful thing. You have to really try to be human when you’re writing. Removing the human element from an article on a potentially boring topic can often be the kiss of death. Your readers are human (we hope), so you need to appeal to them on that level. People are generally group animals – we like communicating with one another and learning from each other and connecting with one another, so stay present in the content you write. You don’t need to be “you”, necessarily – you’ll need to be the voice of whoever you’re writing for, and there may be tone or brand guidelines to follow if you’re writing for a client – but you do need to be human and engaging. The human touch has another benefit when it comes to topics that risk becoming boring due to their complexity – it helps to build trust. If you – or the client you’re writing for – have a consistent voice throughout your body of content, your clients and prospects are far more likely to engage with the material you present to them and trust what you’re telling them – very helpful when you’re dealing with facts, figures, explanations and things like that. Build a relationship with your readership over time, and you’ll find that they invest a little more in reading what you have to say – they’ll want to read you and they’re more likely to seek you out again. This is exactly why social media is so effective – when people have an engaging voice, others are drawn to that. Now, blogging can be a writer’s playground, as long as you have clearance to go ahead with the tone you’re choosing to use. And remember, if you’re blogging for yourself, it’s important to use your best self for your brand, but not a fake self. Choose and consistently use the funniest, wittiest, most intelligent, most engaging parts of yourself – maybe you wield a great sense of irony, maybe you can spot and shoot a cliché down from 10 paces away. Maybe you’ve got a chaotic family full of hilarious members and there’s always a lesson in whatever your grandma says or does. Whatever topic you’re writing about, be yourself but be your best self. And, as people get to know you, they start to listen more closely to what you have to say. Tip three is “Be relatable”. Following on from being human and understanding your topic, we’ve got being relatable. And while this could realistically (and easily) have been included under those two headings, I think it’s important because of the emphasis it places on your target audience. Being human and well clued-up on your topic is all very important, but you have to aim your writing square at the reader you’re hoping to enthral. Otherwise, all that wit and wisdom is going to do no good at all. You need to write in a way that touches the target audience, and encourages the reader to create images in her or his own head. And to do that, you can’t always be informing the reader about things she or he has never heard of – although you may need to do that plenty, especially with informative blog posts – you need to tap into things they already know, understand and find compelling. Now this might be general human truths or it might be sector-specific. So when you’re looking for analogies to liven up your writing, look for the kinds of things that – when you tell someone about them – they interrupt you and go, “Ohhhhh yeahhh…”; the kinds of things that we – or your target audience – have all got a story about. Looking at general stuff, it could be the embarrassment of falling flat on your face in public; or the inevitable fact that, if you ask someone to look in the fridge for the jam that you know is at the front of the top shelf, they won’t find it and you’ll have to get it yourself, or the fact that 97% of your time in the shower is spent staring into space and coming up with things you should have said in an argument you’ve already had. Being relatable is a way of building a strong connection with your reader. All you have to do is find out how it fits with your topic! Tip four: be relevant. Now I know a lot of people say bad things about click bait and it’s true – patent click-bait without substance is rubbish. But, you do need to be relevant. It’s worth coming up with ways to link your content to relevant topics but make the content evergreen content as well. So situate your content in a wider context – tap into things that people are reading about, and understand about, and care about. Situate your topic relevantly and people are more likely to want to go and read it – you have to hook them in. If your boring garden machinery topic comes out of nowhere, then it’s only going to appeal to people who are impassioned by garden machinery. But if you can link this to something in a wider context – say, there’s some new legislation that says that people can’t use this particular equipment any more, or you can find a political or even celebrity topic that could link to your topic with more than just a bare thread, then that will help you to be found on search engines, it’ll encourage people to click through. So don’t be mercenary but don’t be afraid to be relevant and get a few more click-throughs on that content. Tip Five: be creative. So imagine that you weren’t listening to a podcast right now. Instead, you’re reading a dry as toast study about the various factors involved in creating compelling content for blogs. The text is small, the text is grey and the sentences are looong and unwieldy and boring. There are no pictures, no examples, it’s just corporate boredom hell. You probably wouldn’t get to the end of the article. Now blog posts about boring topics can’t be boring – that’s the rule: they can’t be boring, not if you want your content to succeed. So instead of lecturing people via the written word, you have to engage them. So, ok, maybe you can’t record a podcast every time, but you can perk up your blog posts with a bit of creativity. Boost reader engagement with rich media content – it’s all out there: images, videos, infographics, you can create your own web graphics. Even bullet points and tables are a good way to break up text. Appeal to the eye, ear and senses as well as the shrivelled, minging little dry bit at the back of your reader’s brain that enjoys reading about this boring topic. So find interesting images – steer clear of stock photos as far as possible (no more blonde women in headsets!). Find creative additions to your text – you’re never too old to enjoy text being broken up by something interesting. It doesn’t matter what your topic is – nobody minds a bit of rich media. Tip six: be sneaky. OK, so as I said at the start of this podcast, when you read what people have had to say about writing about boring topics, most of what you’ll find is a bunch of right-on, faux profound “Nothing is boring, except the writer!” rubbish. It’s not true – some stuff really is boring. Not for everyone: there’s a topic for everyone, and there’s a person for every topic, but I believe Philippa had an encounter with someone who had to write about traffic cones the other day. And while that might be alright for one or two blog posts, I can imagine that a whole blog on the topic would start to wear you down. So, here’s a tip: don’t write about the boring subject. Sounds sneaky? Well, it kind of is, but it’s also an intelligent approach. You can apply this advice on a micro or macro level: either inject different subjects into a blog post about the boring topic, or inject whole blog posts on different subject into your blog about the boring topic. Now, I always wondered, at school, why they kept making us draw spider diagrams. I couldn’t come up with many possible adult uses for them, but we did so many – it was always, “OK kids, it’s spider diagram time!”. But this is the time of the spider diagram – its hour is nigh! Take your boring topic, stick it in the middle of a massive spider diagram. Then think about your target audience, and what they might like to read about. Say, let’s talk about traffic cones again. You could talk about roads, town-planning, people wearing traffic cones on their heads after a night out (weirdly, this seems to happen a lot when people are drunk), different colour cones…I’m being a bit ridiculous, but if I had a spider diagram, I’d come up with much better ideas. So think about your audience, their interests, the topics that relate to them, or your topic, or the sector, or the current news…and keep doing this until you’ve got a whole range of topics you can write about around the boring one. And you might find you can categorise these topics. I’ve come up with a few editorial calendars for clients in the last few weeks, and while I wouldn’t say that my clients’ sectors are boring (of course I wouldn’t; they pay my bills), they’re not necessarily topics I’d want to write about all the time. But I found myself becoming more interested as I worked on finding topics around the topics I normally write about. 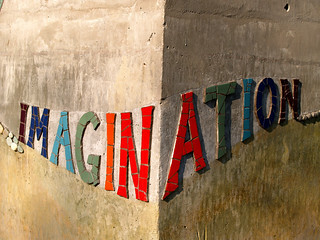 Use your imagination: if you’re writing for yourself, go wild. 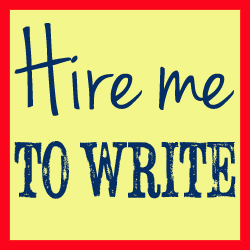 If you’re writing for someone else, I think they’ll appreciate the fact that you’re using your imagination. At the end of the day, they don’t want the next Tolstoy novel, they just want a blog that people want to read. And if you can show that you’re coming up with new ways to tempt people in and that you can still link the content to their product or service, you’re spot on in what you’re doing. So to sum up, what it comes down to it, this is actually good advice whether you’ve got a boring topic or a fascinating one: you can’t write endless things on the same subject from the same angle forever. Well, you can but it’ll bore everyone’s socks off. – Be clued up – do your research, read, learn. It might hurt at first, but the only way to uncover interesting bits is to go digging. – Be human – make sure people know they’re not just reading a bit of corporate spiel. – Be relatable – come up with analogies people can relate to, even if you’re informing them about something new. – Be creative – don’t think in black and white; bring in some colour, some sound, bullet points, shading, borders, different fonts – although not Comic Sans, obviously. – Be sneaky – if you have to write about traffic cones, write around traffic cones. As long as it all ties in, gets the message across and still works, go for it. It’s the mark of a really good writer if you can bring a really dry topic to life, so put your back into learning how to liven up those tricky topics and I promise it’ll pay off in the long-term. That sums up episode 65: Six Ways To Write About A Boring Topic Without Sending Your Audience To Sleep. What remains is the Little Bird Recommendation Of The Week. Now, HubSpot’s on the money again this week – I might as well just call this my “HubSpot recommendation of the week” at this point, but it’s really good. So, my recommendation is for a wee slideshare – it’s nothing too taxing; we’re all tired. I don’t want a big blog post and I don’t think you do either – that they’ve created to help you find out where to get really tweetable information. Now, Christmas and New Year is always a funny time on social media – a lot of people do wind down and just tweet tired, Christmassy/New Year’s Resolution-y things. But, give it a week or two, and by January, everyone’s revitalised again. Things go from 0-60 and if you’re not sharing interesting content, you’re unlikely to keep up with the pack and there’s nothing worse than starting the year off and feeling like you’re failing. Finding shareable content can be a drag, particularly when it’s dark and cold, and you’re feeling overworked and underpaid. So use this little slideshare to help you come up with some new ideas – I actually found it really helpful, and I hope you will too. It has some really good ideas, both about finding topics and about automation. It’s not heavy or in-depth but it did spark my imagination. So that really does bring us to the end of A Little Bird Told Me Episode 65: Six Ways To Write About A Boring Topic Without Sending Your Audience To Sleep. Really hope you’ve found this helpful – I’d love to hear any feedback. If you want to see where Pip and I reside on social media, just go to alittlebirdtoldme.podomatic.com or you can come and have a chat with us at facebook.com/freelancewritingpodcast – tell us about the most boring topic you’ve ever written on. We may give you a round of applause; we probably won’t give you anything else but you can still share the pain. So stay tuned; we’ll be back in about two weeks with another dual episode. In the meantime, make sure you subscribe at alittlebirdtoldme.podomatic.com via iTunes, Stitcher Smart Radio or one of those fancy podcatcher things that Pip understands better than me. Subscribe and you’ll be the first to hear when we have another episode out. I’ll leave you to it for now, and wish you a very Happy New Year – I’ve been Lorrie Hartshorn, and Pip and I will catch you next time.